The stories are all well-crafted in the style of Jack Vance. That is this book's strength and weakness. 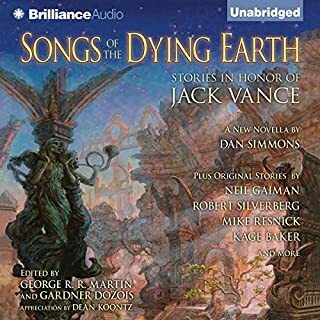 Jack Vance's work is a very particular style that it far from universally appreciated. If you already know you like his work, then I wholeheartedly recommend this book with the single caveat that the reader is a bit dry. If you don't like Jack Vance, or don't know if you like his work, then do not, under any circumstances get this book. The only good thing I can say about this book is that it did not cause me bodily harm. It is clear from the writing that the author does not have a story to tell. He has an interesting idea that he attempts to build a story around. He fails. The character interactions are utterly bland and predictable, as if the story was constructed by committee from a series of check-boxes. There is little in the way of interconnectedness between the independent plot elements. There's no causation, just stuff happening. Along the way, the author manages to demonstrate his considerable ignorance about nearly every topic he brings up. Science: yup, he's got some facts wrong. Technology: at least he doesn't call the internet a "series of tubes." Riding a bicycle: it's clear he doesn't know how that works either. Don't buy this book unless you want to waste a large portion of your life listening to a train wreck that will leave you dumber than when you started. 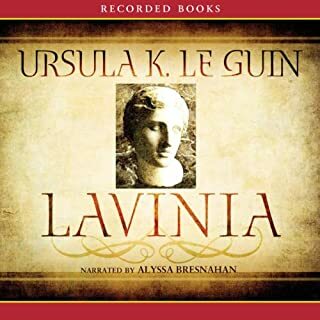 Highly acclaimed author Ursula K. Le Guin lends a resonant voice to a pivotal yet often overlooked character of Vergil's The Aeneid. Born into peace and freedom, Lavinia is stunned to learn that she will be the cause of a great war - or so the prophecies and omens claim. Her fate is sealed, however, when she meets a man from Troy. I found this book to be wonderful in three ways. 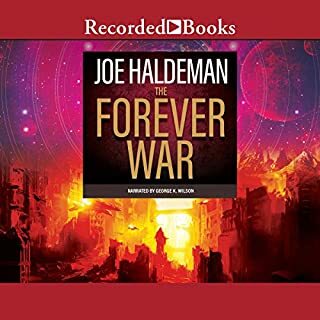 While the story is well trodden territory, the author continuously weaves it with fascinating and well thought out insights and commentary from the narrator. The narrator herself is a wonderful contraption, occupying a unique space between first-person and third-person. Finally, the writing itself is a joy to listen to. The author has clearly put thought into simplicity and elegance of phrasing. The only down-side I found in this book is that the last half of the book is not as strong as the first. However, the book only slacks off from "excellent" to "very good." The reader does the book justice. She speaks clearly, at a good pace, and with an appropriate amount of intonation and acting. As a story, I found the book to be an uninteresting and tedious recounting of events with little connecting them into a coherent thread. However, the plot of the book is not why it was written. It is clear that the author's intent was to use the plot as a premise for writing a future history of the human race. As a future history, it is largely a failure. For the most part, the author's predictions about the future of the human race are either banal and unpredictable, already failed predictions in 2009, or techno-babble non sequitors that are not supported by any rational chain of reasoning. The book is an interesting footnote in the history of sci-fi, but I think it has little value on it's own merits in 2009. This is my first exposure to a novel by Stephen Baxter. I've read a number of his short stories and love them. 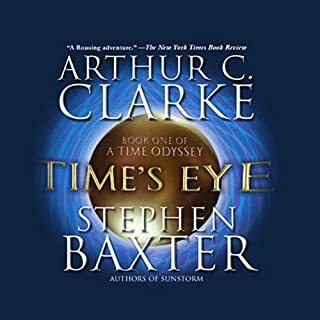 While the book wasn't awful, while listening to it, I got the unshakable feeling that Baxter only wrote it to pay the bills. 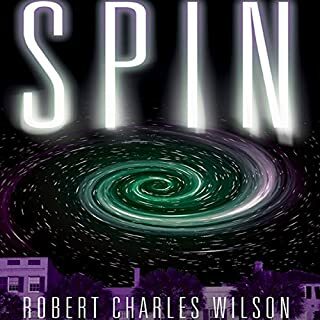 This book is not science fiction. It is fantasy. Few attempts are made at explaining the "science" behind the storyline. Of those few attempts, most of them are laughably broken. Baxter is no slouch when it comes to scientific knowledge, so I can only assume it wasn't a priority for him. The book is a flimsy premise for creating anachronistic confrontations. The plot runs on rails. By the one hour mark, you will know exactly where the plot is going. There is some enjoyment to be had from listening to it unfold. However, the ending seems a bit hurried, and relies heavily upon deus ex machina. What really bugged me about the book was the characters. They are all one-dimensional cliches. Every character is built with cartoonish exaggeration, and an unwavering path through the story. Making this even worse, it becomes clear that each of the characters is a ham-handed attempt at modern social or political commentary. The arrogant, ambitious character from the modern American South is a transparent George W. Bush knock-off. There's an uptight, 19th century Yankee and an even more uptight 19th century Anglo-Indian. Every character who is not an American is even tempered and smarter than the Americans. I appreciate social commentary, and I'm not especially nationalistic myself, but I found the hyperbole with which the characters were drawn to be tantamount to a bunch of straw man arguments. Social commentary in novels is best when subtle. Listening to long winded, heavy handed social commentary for 11 hours is a bit of a drag on the experience. The reader is pretty good. He mispronounced a few words here and there, but spoke clearly and with reasonably good inflection. On the whole, it's interesting but forgettable. My main problem with this book is that I'm not sure who the target audience would be. 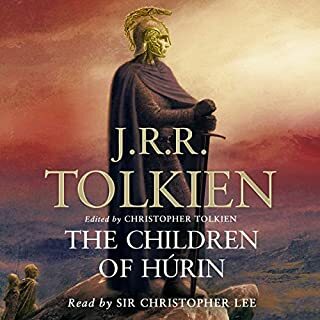 I absolutely cannot recommend this book to anyone who has not read the Silmarilion. The tale is inextricably tied to the greater context presented there. A reader trying to understand it on its own would be hopelessly lost. However, I can't really recommend it to anyone who has read the Silmarilion. I love the tale of Turin, it was always my favorite chapter of the Silmarilion. When I picked up this book, I was hoping that the expanded content would improve the story. Unfortunately, I found the extra content to be a useless accessory, diluting the core story. Ultimately, I think the version of the story within the Silmarilion is better than the one provided in this book. Aside from the problems above, I found the voice acting to be comically over dramatic, even cringe-worthy at times. The reader speaks clearly, but with excessive expression, reminiscent of a middle-school play. The book is an entertaining and informative menagerie of historical characters, many of whom arguably demonstrate heroic traits. 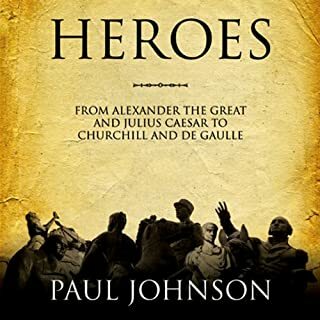 The author clearly makes an attempt to represent heroism in all its forms, even explicitly voicing a distaste for overvaluing martial heroism (even so, heroic soldiers compose the gross majority of the list). Little effort is made to define or generalize heroism, leaving it as a subjective attribute. I find this ambiguity acceptable, but be forewarned that this book does not address the question of what it means to be a hero. The book contains a number of serious flaws detracting both from my enjoyment and the informative value of the book. With mild regularity the author lapses into French and Italian: whole, non-trivial sentences, without accompanying translation. This seemed either careless or pretentious. The heroes from the modern era seem to have been chosen, not for any heroic attributes (two of whom, arguably demonstrate no heroism whatsoever), but instead because they embodied ideology that the author favored. Those chapters could just as well be renamed, "People I Agree With." His overly long section on Wittgenstein is speaks more of ideological worship by the author than heroism by Wittgenstein. On the same lines, the author's occasional personal anecdotes smack of pretentious name dropping. Large swaths of geography and history are entirely overlooked. The list of heroes may be an adequate catalog of players in the history of Western European civilization, but is hardly a list of world heroes. With the exceptions of the classical heroes, biblical heroes, and Pope John Paul II, every person on the list is of British, French, or Germanic descent. South America, Asia, Africa, South and Eastern Europe are entirely unrepresented. All told, this book is an entertaining, but forgettable read. The quality of the reading is excellent and the subject is interesting. However, there is little of lasting value. 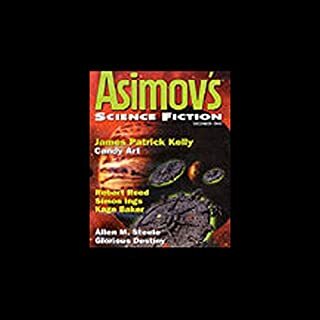 From Asimov's Science Fiction Magazine, here are the best stories of 2002, written by four of the most respected writers of our day: Robert Silverberg, James Patrick Kelly, Ian Watson, and Gregory Benford. Also try The Best of Analog Science Fiction and Fact Magazine and The Best of Fantasy and Science Fiction Magazine 2002. The four stories are highly variable in quality. I didn't care at all for the first story, "The Clear Blue Seas of Luna." It's written in an extremely abstract manner, almost stream of consciousness. The plot is hard to follow, and fails to excite. I suspect that this story may be part of a larger body of work, but as it is presented in isolation it is simply confusing. The second story, "Speaker for the Woodland Sea" is interesting, but doesn't really go anywhere with the plot. It's a beautifully designed, interesting world, but it doesn't really have a plot. It's just a random assortment of events. "Candy Art" is fun and funny. My only complaint is that it falls short of delivering a solid conclusion. "With Caeser in the Underworld" is also thoroughly enjoyable, but ultimately pointless. It left me with a number of unanswered questions, wondering if there was some foreshadowing that I was supposed to notice. All of the narrators are excellent. They speak clearly, and at a good pace. Ultimately, it's a good way to waste a few hours, but it is not suitable if it is to be one's first or only exposure to sci-fi short stories. Chaz Koto is a citizen of Xanadu, a near future perfect society hosting the wealthiest men and women on Earth. Along with his fellow citizens, he bears the burden of a dark secret that the outside world would be shocked to hear. Lenore Myles is a student who travels to Xanadu and becomes involved with Koto. When Koto unwittingly lends her his access codes, Lenore stumbles upon the grisly truth behind Xanadu's glittering facade. This book fails to break any molds. The plot is a standard hodgepodge of ideas that have been done before, and done better: augmented intelligence, artificial intelligence, the juxtaposition of primitive cultures with high technology, quasi-governmental corporations. Normally this wouldn’t merit such bad marks, except that it’s a poorly done remix. The dialog leaves something to be desired. The romance scenes are almost painfully cheesy, and most importantly the plot completely lacks foreshadowing. Without spoiling it (and I use that term loosely) I can’t give much away, except to say that you won’t see the final plot-twist coming because there was absolutely no way you could have seen it coming. The only good news is that reader is quite good. He speaks clearly, and adds just the right amount of dramatic interpretation. Take a pass on this one for now, and go read Snow Crash, or The Diamond Age. 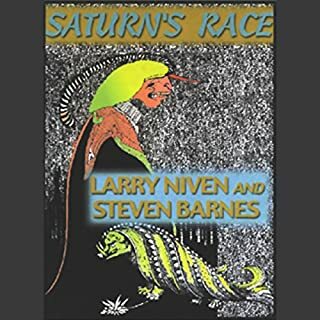 After that, consider giving Saturn’s Race a try, but be forewarned that it’s not nearly as good. Cuculian, "The Hound of Ulster," is the champion of Ireland and is best remembered for his single-handed defense of Ulster. The author of these accounts is Standish O'Grady (1846-1928), whose writings earned him the title "Father of the Irish Renaissance." I'm only about halfway through, and probably won't finish the book. The reader, speaks in a dreadful, unexpressive monotone. He does have an intriguing accent and rhythm, but that alone is not enough to recommend the book. The actual story line is complicated and uninteresting. Unless you're steeped in Irish culture (I'm not) you'll have extreme difficulty following the plot. It references many people and places you've probably never heard of, and I can only assume are notable in Irish folklore. Also, like many myths, the events of the story alternate between completely unbelievable and painfully mundane. If you're an academic myth junkie you'll probably find this book enlightening, but you probably already own it too. If you're anything less than obsessed with Irish culture and mythology, take a pass.